Best of luck Rachel dear! I’ll be thinking of you and praying for a wonderful outcome for your Thanksgiving surgery. Take care xoox. praying for you!!! Hope you have a speedy recovery!!!! By the time you read this you will be the proud owner of two nice squishy girls. Congrats! Hope you will be fine in no time. WHOOP WHOOOP! Get it girl. You got this! YAY! 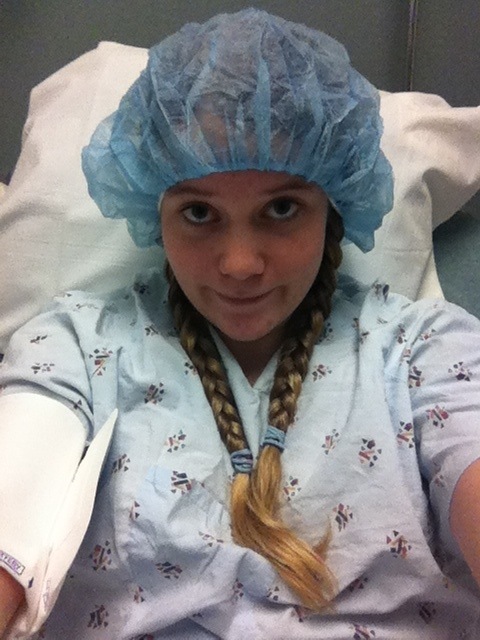 Wishing you a smooth, uneventful surgery and recovery. Thinking of you and sending lots of healing energy! Rest up, you’ll feel great in no time. By now you’ve had you swap and are all set up on some decent meds (hopefully!) In hope all went will and a speedy recovery. I had my first fill today, addeda while 100ccs per side. Needless to say I’m feeling a smidge bit of tightness but I’m sure it will fade. Wishing you a happy holiday and speedy recovery! Ah your first fill–that’s exciting! How large are your tissue expanders/what’s the max they can hold? Yep.. I was with you.. Wish you all the best 🙂 I hope your recovering nicely. I have never felt better without those dang canons under my skin. I wish I would have found your blog sooner. We’re total exchange twinsies! I also now have 800 cc style 45 implants. Mine are definitely still “settling” so I’m still iffy about their appearance.